Montenegro and Albania will celebrate First Regional Pelican day on 10th May. In Montenegro the event will be held on the Skadar lake, near the birdwatching tower on Stanaj, starting at 10 am. The event is organized by Noe Conservation, Public Enterprise for National parks of Montenegro-National Park Skadar Lake, Natural History Museum of Montenegro and Center for protection and Research of birds. The aim of the event is raising awareness about the importance and conservation of Dalmatian pelicans on the Skadar lake. 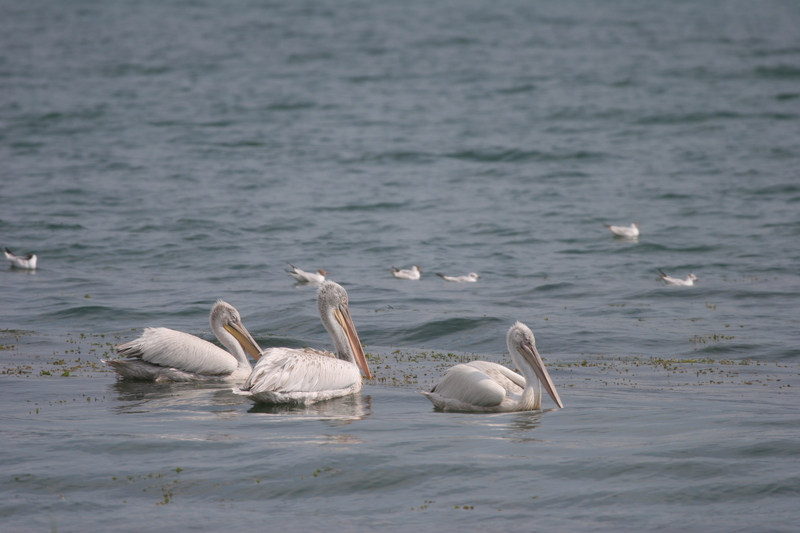 The survival of Dalmatian pelican was questionable during the last decades, but with the efforts of local and forgein organization the number of pelicans is increasing year per year. Within "Pelican day" special emphasize will be put on publishing of interesting results of the project "Conservation of pelicans, key biodiversity species of Skadar lake" such are: results of first complete census of pelicans on the teritorry of Montenegro, as well as the information about the conditions of the colony, videos of the videomonitoring from nesting rafts, etc. The children from elementary schools from Podgorica will also participate at the event and have educational on the spot lectures about the significance of conservation of pelicans and their habitats. They will enjoy the view from the birdwatching tower and observe pelicans and other bird species.